The delegates from 7 different companies joined BOSIET training from 27th to 29th November. Winter cyclone has been approached to our area, we were caught in a rainstorm. 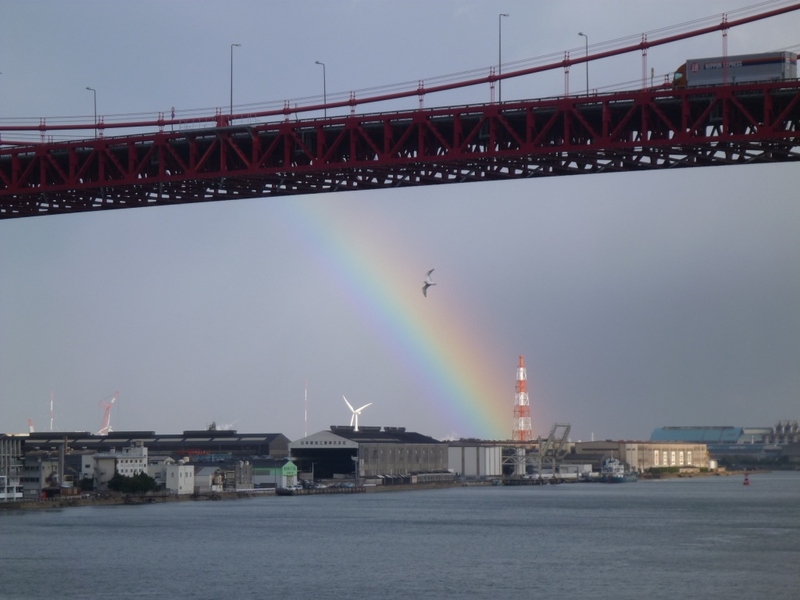 We could see patches of blue sky on the last day, huge rainbow across the sky drew a beautiful picture with Wakato Ohashi Bridge. Training had been completed and we received delegates’ comments as follows. From NSTC: Thank you very much for joining HUET even though you do not like swimming. Sometimes we have delegates who cannot swim at all. Even in that situation, we carefully support the delegates to complete the training to meet the aim. It was very nice to have you training here, and we’re looking forward to seeing you for FOET in 4 years. From NSTC: I’m happy to hear that you have enjoyed the training here in NSTC. Thank you very much for joining us, and see you in 4 years for FOET!